Building a Future on Copper. Bank says investor meetings outside the traditional hotbeds of north-eastern US cities can pay dividends for an industry in need of support wherever it can be found. Our SAB is a strategic resource whose experience, relationships, and knowledge are utilized throughout NOBLE Life Science Partners to enhance all service offerings. Through the SAB, we have access to world-class healthcare professionals for substantive advice regarding new discoveries, technologies, products, services, and developments. 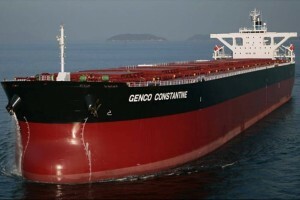 Offering is expected to make $100.7m for US-listed drybulker owner to pursue fleet expansion. ProMIS Neurosciences Inc. (TSX:PMN; OTCQB:ARFXF) is pleased to announce that it closed yesterday a private placement of 19,306,668 Units at the price of CDN$0.375 per Unit for gross proceeds of approximately CDN$ 7,240,000. OSG chief executive Sam Norton tells Noble Capital conference that gains over last five months appear to be holding up. 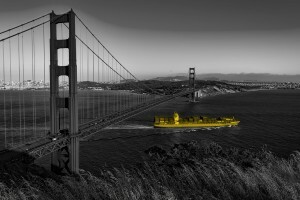 The first signs of a recovery may be showing for tanker rates in the recently slumping US Jones Act market. Gray Television, Inc. (NYSE: GTN and GTN.A) announced today that it has completed its previously announced and priced underwritten public offering of shares of its common stock at a price to the public of $14.50 per share. VBI Vaccines Inc. (Nasdaq: VBIV) (TSX: VBV) (VBI), a commercial-stage biopharmaceutical company developing next-generation infectious disease and immuno-oncology vaccines, today announced that the underwriters of its previously announced underwritten public offering have exercised their option to purchase an additional 2,100,000 shares. 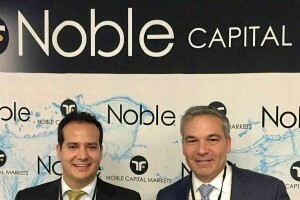 Noble Capital has taken its next step towards entering the US capital markets by hiring an equity analyst with extensive experience in the oil and energy sectors. 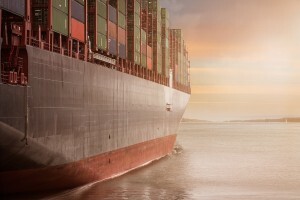 Speaking to TradeWinds on the sidelines of this week’s Capital Link Maritime Forum in New York, Poe Fratt said Noble was gearing up to launch coverage within 2017. Kratos Defense & Security Solutions, Inc. (“Kratos”) (Nasdaq:KTOS), announced today the pricing of an underwritten offering of 14,000,000 shares of its common stock at a public offering price of $12.25 per share. NOBLE Capital Markets, a leading small-cap focused investment firm, announces the initiation of research coverage of Vectrus Inc.
Noble Capital Markets announced today that it has initiated research coverage on Marlin Gold Ltd. (TSXV: MLN.V, OTCQX: MLNGF). The report was issued by Senior Research Analyst, Michael Heim, CFA. Noble Capital Markets announced today that it has initiated research coverage on AAR Corp. (AIR). The report was issued by Research Analyst, Benjamin Klieve, CFA.